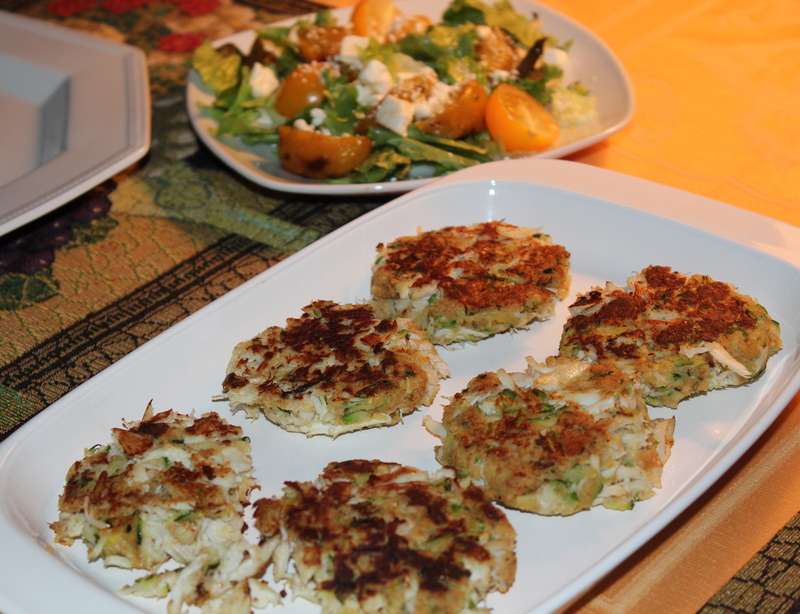 I was introduced to crab cakes on my first trip to the Chesapeake Bay area, and I have loved them ever since. The trouble is I don’t find fresh crab meat very often in my local market and even though crab cakes can be made with canned crab meat I prefer fresh—the pieces of crab are bigger. OK, now the search begins. What recipe should I use? Things I considered in the search: we don’t like red or green pepper in our crab cakes, so eliminate any recipes with those in it. The mixture is flaky and hard to hold together, so I wanted something with moisture to help bind it together. Yeah, eggs do that, but wait, here’s one that uses zucchini as part of the mixture. Wow, moisture, binding power, and a vegetable to take the place of peppers. This is it! Usually I can read a recipe and know if it will work and taste good. My instincts didn’t fail me on this one. SERVINGS: makes 8 crab cakes. 8 ounces fresh cooked crabmeat (about 1 1/2 cups) Purchase about 1 1/4 pounds crab legs to get 8 ounces of meat. Canned crab meat works, too. 1. In a large skillet heat 2 teaspoons cooking oil. 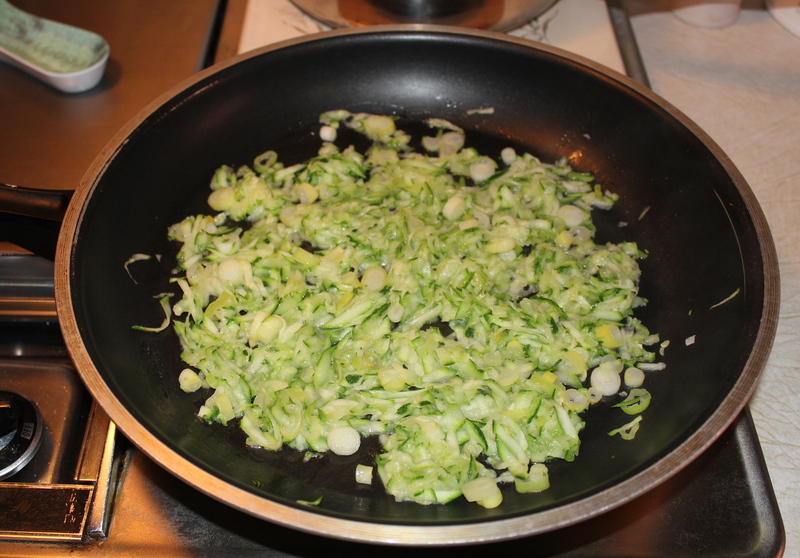 Cook and stir the zucchini and green onions about 3 minutes or until tender and the liquid is evaporated. Cool slightly. 2. In a large mixing bowl combine the beaten egg, bread crumbs, mustard, thyme, and, if desired, the red pepper. 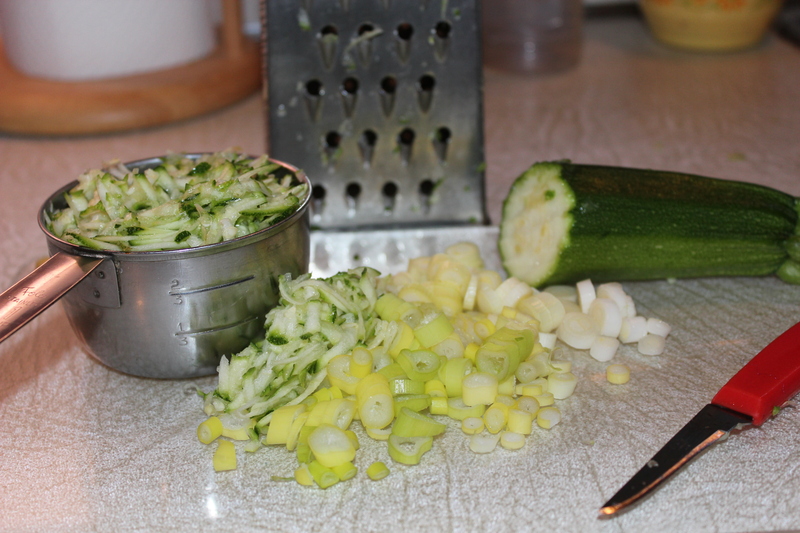 Add the zucchini mixture and crabmeat; mix well. 3. 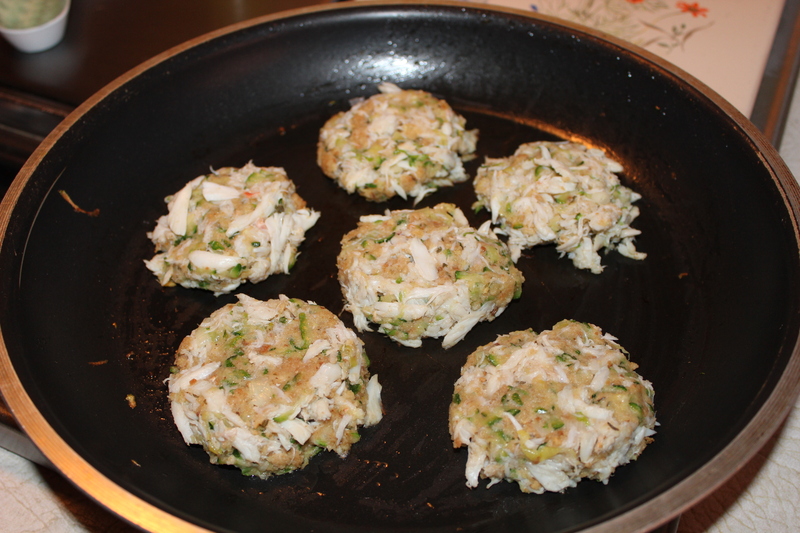 Using a 1/4 cup measure for each crab cake, scoop out and shape into 8 patties about 1/2 inch thick. Spray each patty with cooking spray. 4. Using the large skillet previously used lightly spray it with cooking spray, and reheat it. 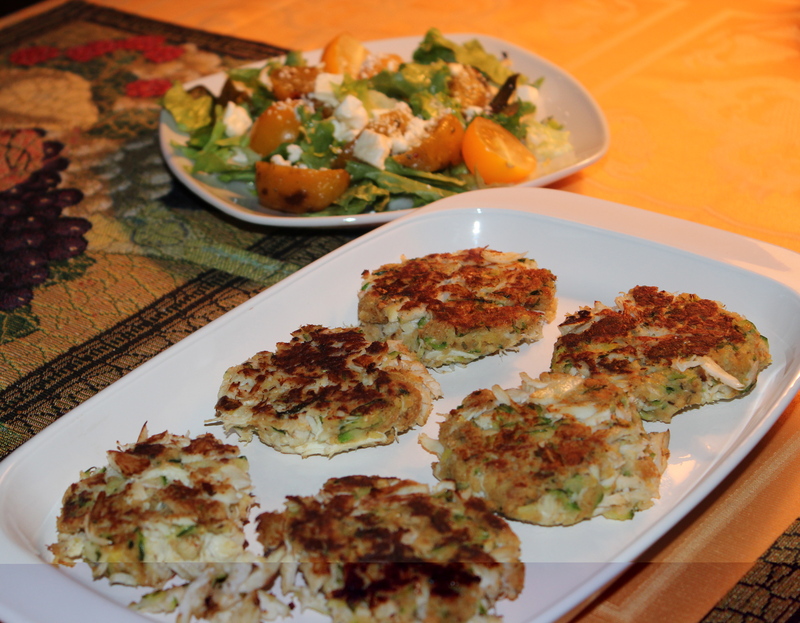 Place the crab cakes sprayed side down in the pan, and cook for about 3 minutes. Spray the uncooked sides and turn over. Cook another 2-3 minutes till nicely browned and crisp. These were really good. I served them with another vegetable (broccoli ) and a salad consisting of roast golden beets, yellow cherry tomatoes, and baby greens with feta cheese. I made these mushrooms as a side dish to go with grilled steak and wow! were they good. 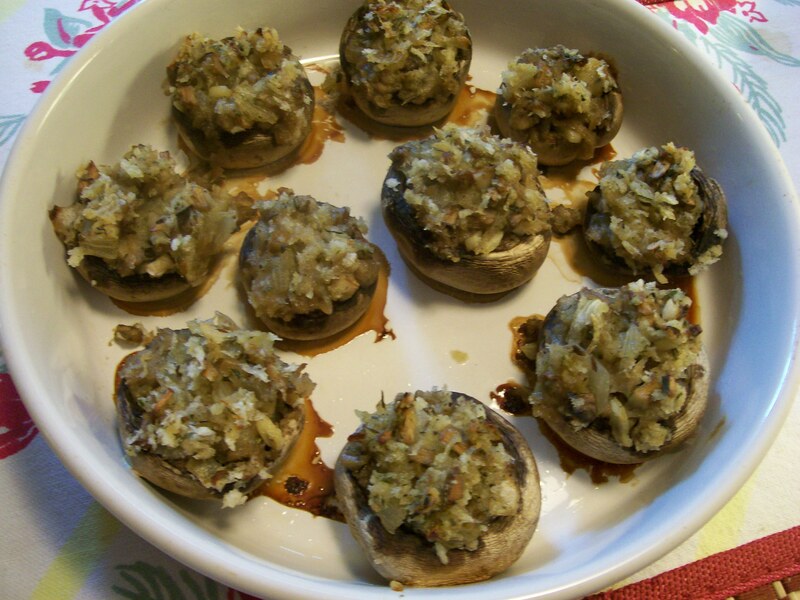 They would also be great as an appetizer, especially if you use small mushrooms that can be eaten with the fingers. My package of mushrooms contained 15 ranging in size from large to medium and two of us ate them all. I took the liberty of adding 1/2 cup canned crab meat to the filling for no good reason except that I wanted to. On second thought I think that was a good reason!. For a strictly vegetarian version omit the crab meat. I have made this recipe in the past exactly as written and it is very good, so either way you prepare them I’m sure you will like mushrooms this way. 1. Preheat the oven to 350 degrees. Generously butter a pie plate or other shallow baking pan. Select one that will hold all your mushrooms in a snug fit, so they support each other. They will shrink some as they bake. 2. Wipe the mushrooms clean with a damp paper towel. Snap off the stems and mince them. 3. Melt 2 Tablespoons of the butter in a medium skillet over medium heat. Add the garlic and onion and sauté briefly, stirring. Add the minced mushroom stems and sauté 5 minutes more. Remove pan from the heat. 4. 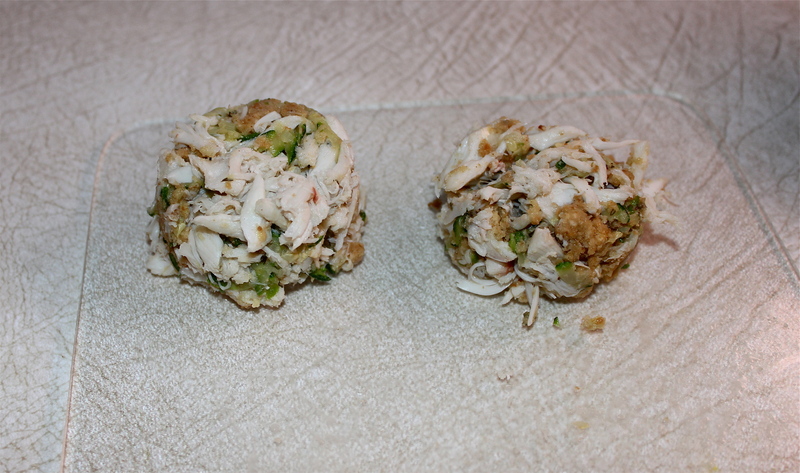 Stir in the bread crumbs, and all remaining ingredients, including crab meat, if using. 5. Place mushroom caps in the prepared baking dish. 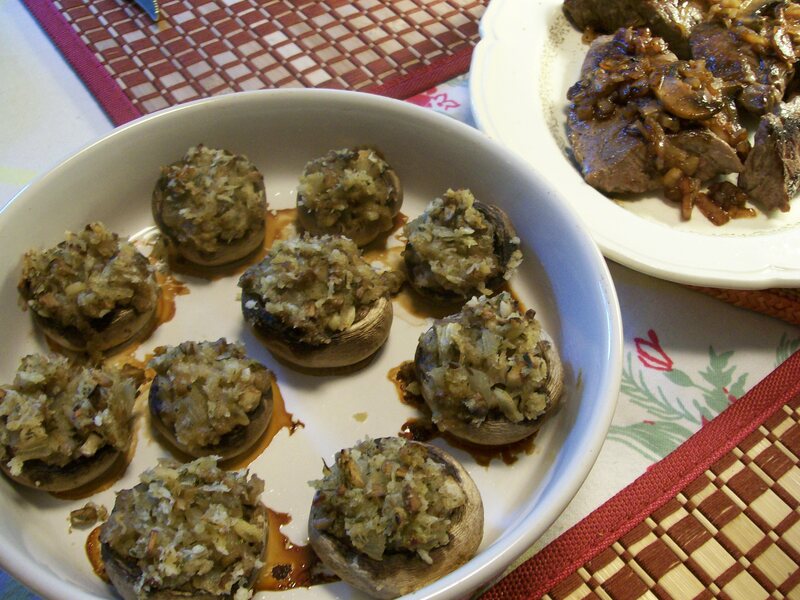 Place a dab of the remaining tablespoon of butter inside each mushroom cap. Mound some stuffing in the caps, pressing it in with your fingers. 6. Bake for 45 minutes, or until the mushrooms are brown, tender and juicy. 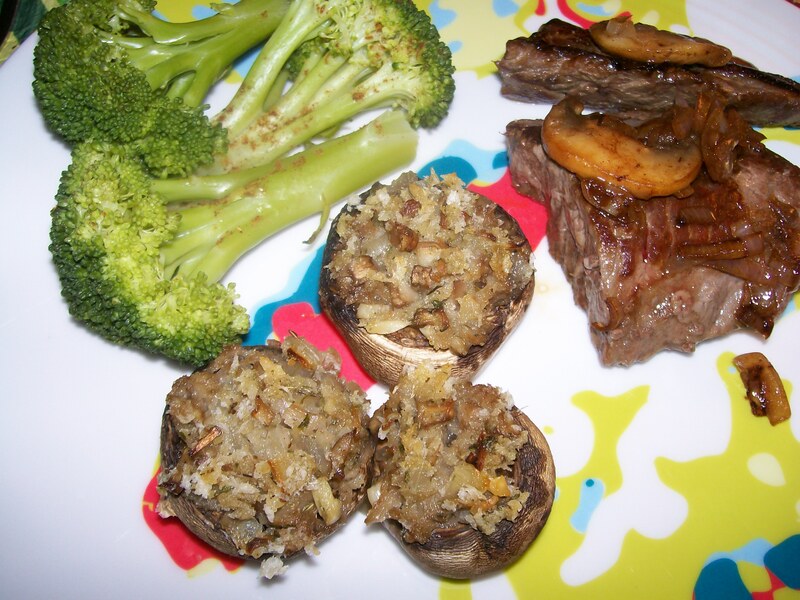 I served the mushrooms with sirloin tip steak, and steamed broccoli.